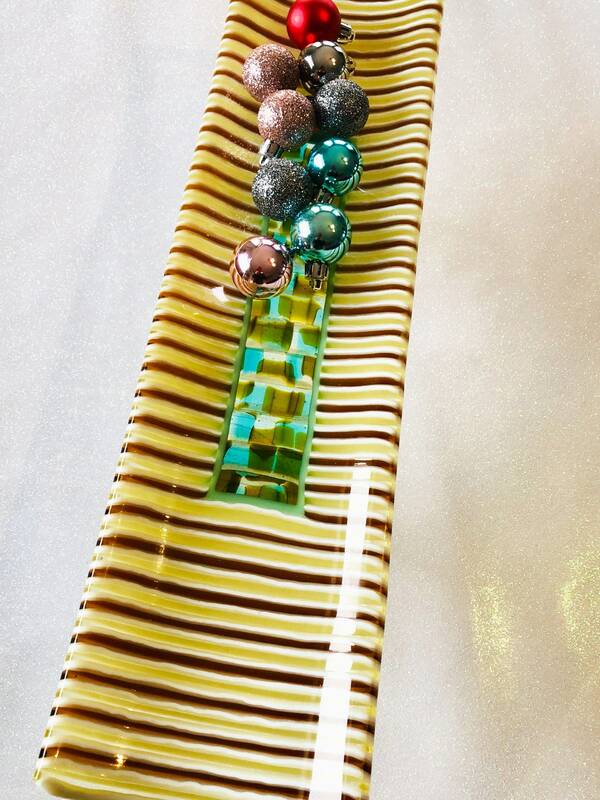 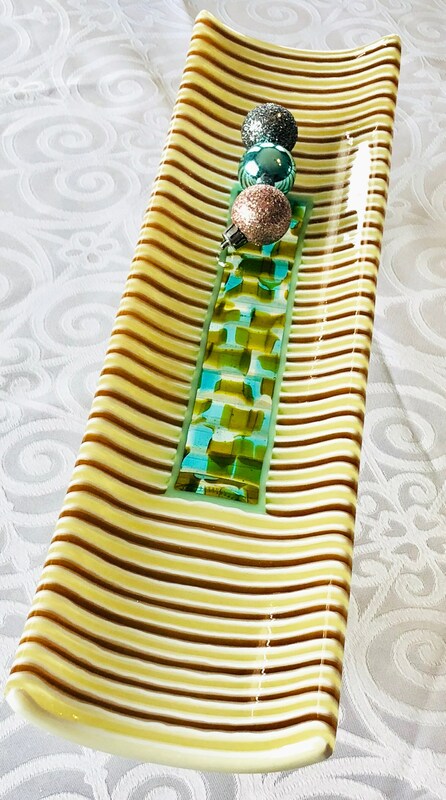 Long fused glass striped tray . 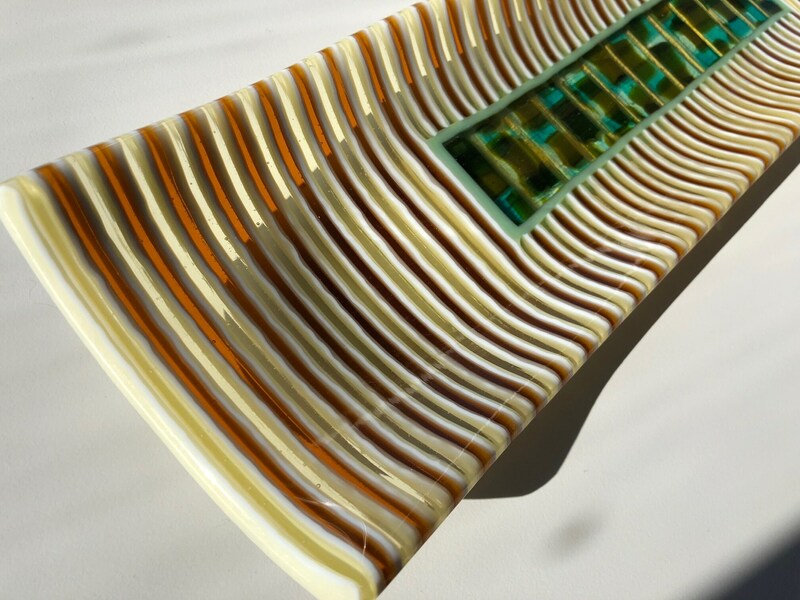 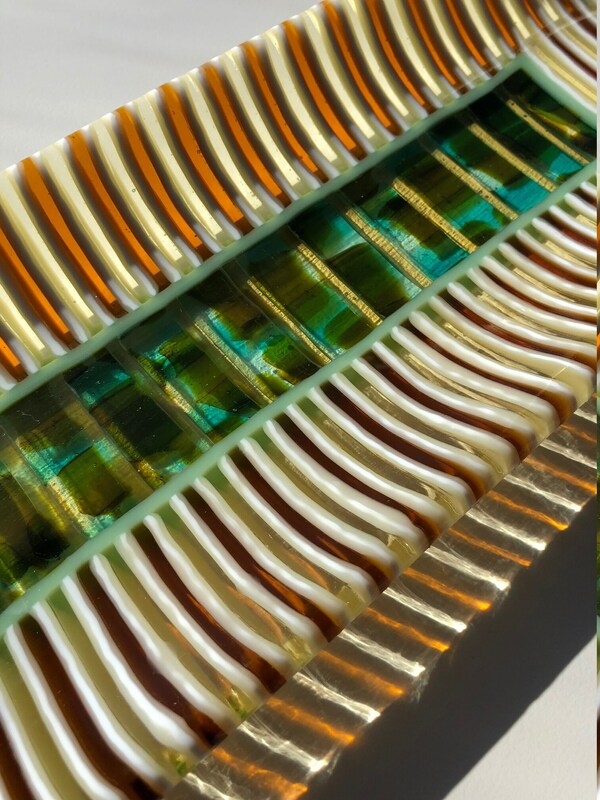 Soft yellow and caramel stripes frame a central pattern of green overlapping glass squares. 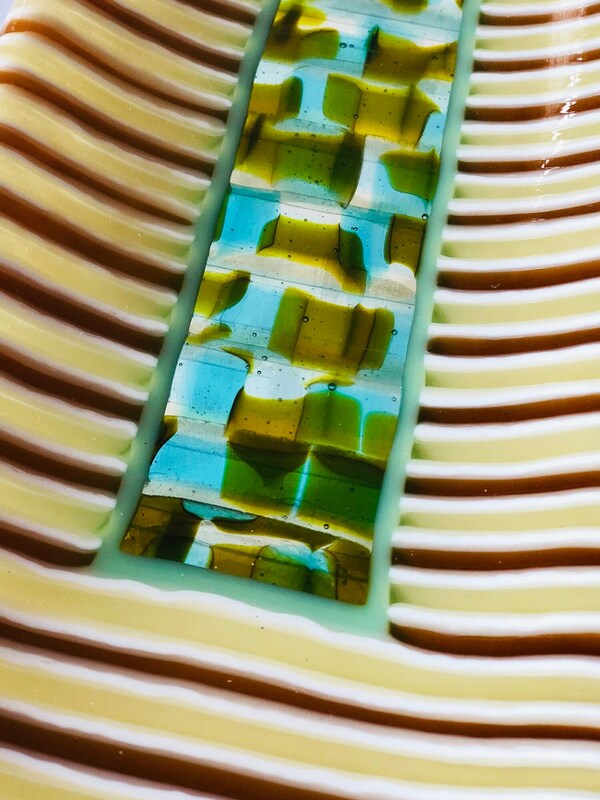 After cold working, the glass piece returns to the kiln to be "slumped" into a ceramic mold to reach its final shape. 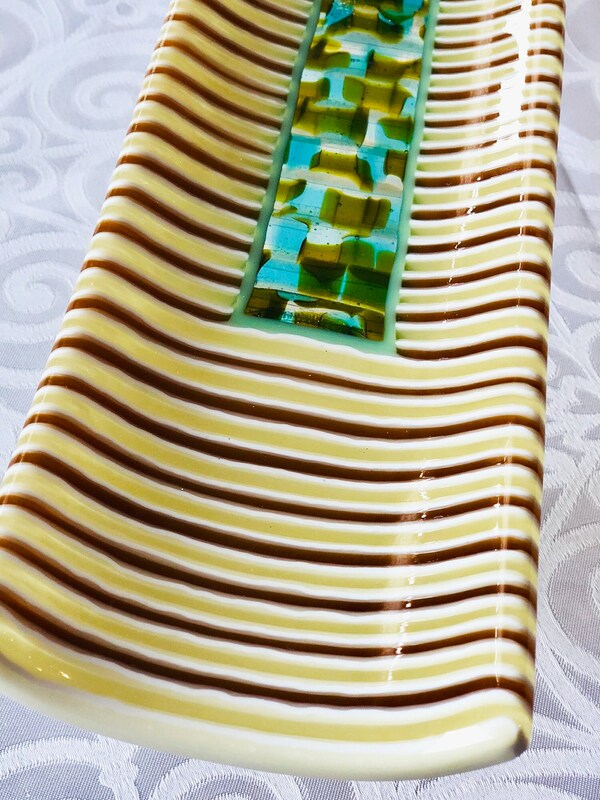 -Can be displayed or used as a serving tray for dessert, appetizers, sushi, cookies, chocolates, or bread and cheese!.